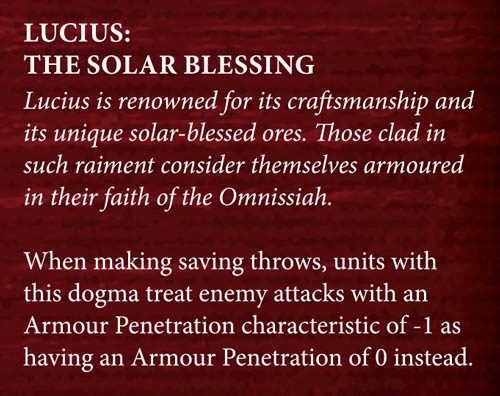 Today we finally get a preview of the forge world Lucius! Ugh. Not exactly very practical. I wish they would have something that adds +1 to their saves instead. 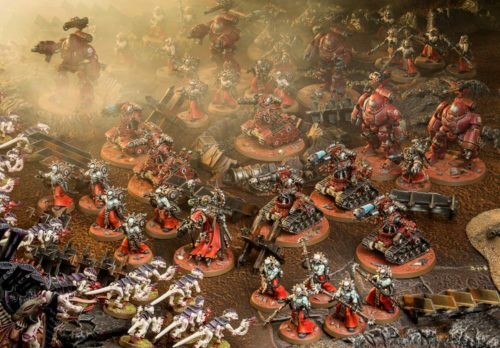 You know, to buff their 6++ invulnerable save to 5++, and the Tech-priests Dominus, Cybernetica Datasmith, Onager Dunecrawlers and Kastelan Robots' to 4++? This just feels a bit underwhelming. Furthermore, it's only useful against certian weapons like autocannons, heavy flamers and the bolt rifles the Primaris Marines are sporting. They still die like flies to plasma (which is the new melta), melta and other powerful weapons. Well...at least it helps against autocannons, heavy flamers and bolt rifles...and those tesla stuff Necron Immortals use. It also makes the Kataphron Breachers a bit sturdier against these very specific weapons. 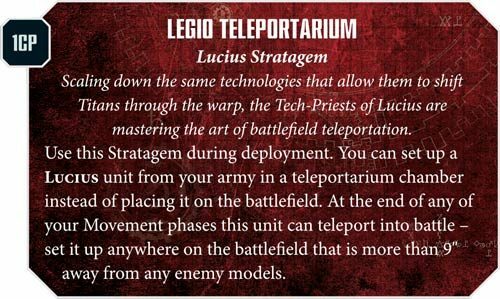 On the other hand, Lucius has some cool Stratagems. Just look at this! Oh wow. now this is amazing. 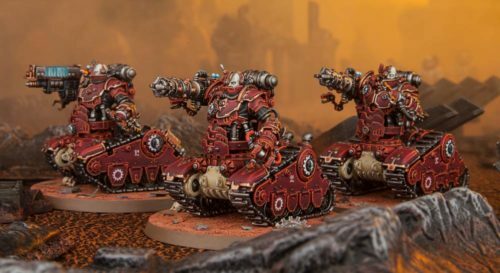 This is really cool and allows your Adeptus Mechanicus to be a lot more mobile even without transports. Nice. But the most amazing takeaway of this article? Not the Lucius forge world dogma or the Lucius Stratagems. 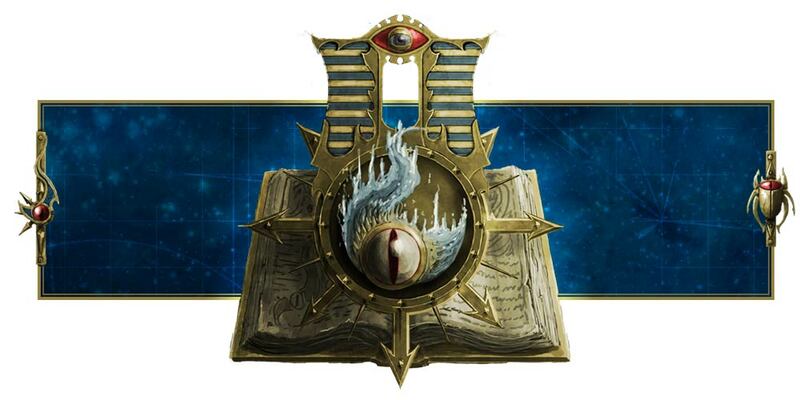 It's this particular Stratagem that is availble to all Adeptus Mechanicus armies, all forge worlds. Holy Omnissiah! 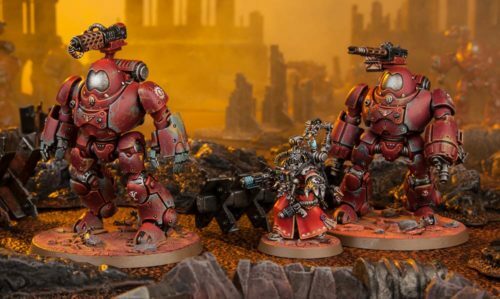 Pairing your Kastelan Robots and Kataphron Destroyers will buff their BS to 3+, and if you place Belisarius Cawl next to them and use this (and Wrath of Mars), you'll kill almost anything. This is just amazing. Sweet! I look forward to blowing all my Command Points on these new, amazing Stratagems! 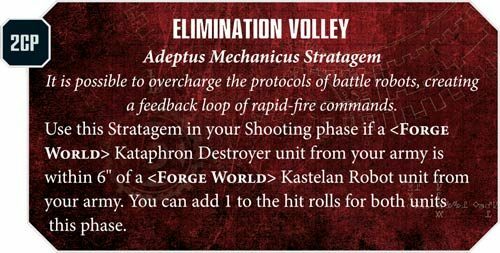 Oh, and you get to shoot twice if you activate this Stratagem when your Kastelan Robots are in Protector Protocol. Just...wow. Mordian Iron Guard and Leman Russ tanks! Pre-order for Codex: Adeptus Mechanicus is up! The Imperium won the Konor Campaign! Adeptus Mechanicus Codex up for pre-order! My battles have been logged!